I hope everyone had a great summer! 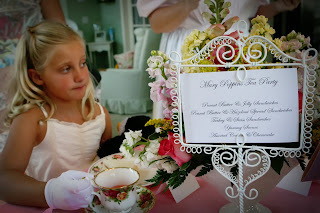 I have been as busy as a bee putting together my newest theme for Party Wishes---Mary Poppins Tea Party! 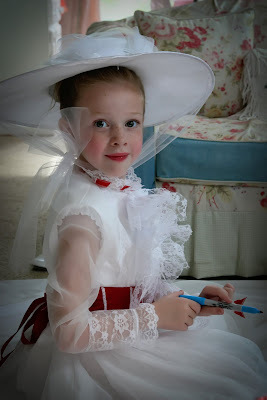 The guests wear Mary Poppins inspired hats, decorate kites, play "Tuppins Toss" and "Spoonful of Sugar Relay". 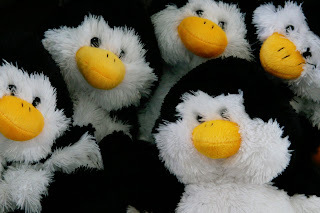 They stuff their own penguins to take home and play musical instruments in "Bert's Band". The favor bags are filled with ceramic piggy banks (to save their tuppins), swirl lollipops, sidewalk chalk ( to jump into their drawings) and a harmonica to make some music at home. 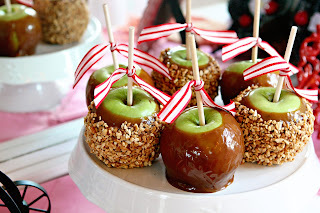 The girls enjoyed a beautiful catered tea by http://www.theteagardens.com/ and caramel apples from http://www.ladydiscookies.com/. 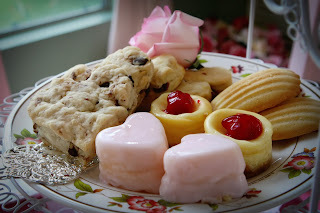 What makes this party look "practically perfect" is the photography by http://www.jenniferwilsonphoto.com/ She is soooo amazing! I have a carousel horse for photo ops and Mary's "Jolly Holiday" dress is available as a rental. Of course, I can't resist dressing up...I am the servant! The girls will get a surprise when I introduce Mary Poppin's carpet bag with the hats for them to wear and Mary Poppins measuring tape to see how they "measure up"! did you make the tape measure your self or did you find itsome where? Where did you get the measuring tape? I want to give it as a gift to someone. Let me know. Hi, I would love to have a measuring tape, did you make it yourself or buy it somewhere? That first picture is just breath-taking! 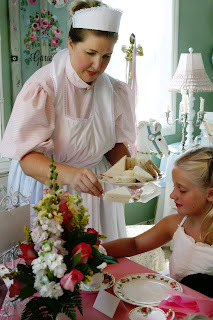 What a gorgeous costume and great idea for a tea party! You are in Cali, right? My sister in Colorado is going to do horses for her 2 year olds b-day, and it would be great to have a carousel horse. Lovely party! 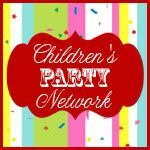 Thanks for joining in my party! Where did you find the measuring tapes? I am trying to find one for my daughter. 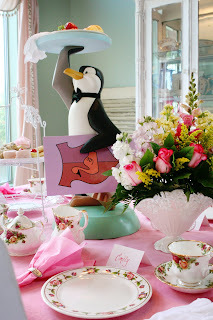 Where on earth did you find the pinguin serving tray? i MUSSST have!! Thank you soooo much! I found the penguin on ebay several years ago. When I do see them, the bids start at $400 for a damaged one or $1500 for one in good condition.